College Park Place! Top floor 2 bed & 2 bath unit on the quiet side of building with Mt Baker view! Updates include flooring, lighting, paint, baseboards and all kitchen appliances. Spacious master bedroom with walk-in closet and ensuite. Open and bright with a southern exposure. Cozy gas fireplace in living room (gas is included in the strata fee). Comes with 2 secure underground parking stalls. Well run strata with pets allowed with some restrictions. 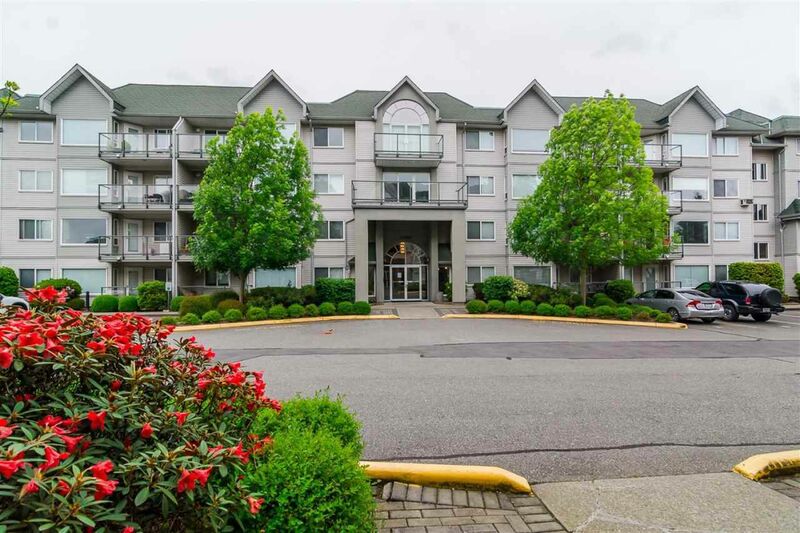 Great location minutes to University of the Fraser Valley, Abbotsford Entertainment & Sports Center, the new McCallum Junction shopping mall and freeway access. Call for your private viewing today! PL LMS1167 LT 48 LD 36 SEC 10 TWP 16 TOGETHER WITH AN INTEREST IN THE COMMON PROPERTY IN PROPORTION TO THE UNIT ENTITLEMENT OF THE STRATA LOT AS SHOWN ON FORM 1 OR V, AS APPROPRIATE.